Blurb: Hollywood, May 1962: Marilyn Monroe, the ultimate goddess of the silver screen, is at the peak of her popularity, internationally famous, universally admired by women and desired by men. But she’s also famously insecure and temperamental and is being pilloried in the press for delaying the production of Something’s Got to Give. When the head of Twentieth Century Fox threatens to cancel her contract, Marilyn hires “PI to the stars” Nathan Heller to tap her phones and record conversations that might prove to be important if there’s a lawsuit. Less than three months later, Monroe is dead from an overdose and, officially, a suicide. But Heller isn’t buying it. He knows that in the weeks before, the star was anything but suicidal. He knows, too, about her affair with JFK, about the secret connections between the Kennedys and the Mob … and about Bobby Kennedy’s blood feud with Jimmy Hoffa. In short, Heller knows too much to accept this bum rap on a beautiful, gifted woman loved by the whole world … including Nathan Heller. Review: I have had this book on my radar since 2011 when it first came out and I saw it mentioned on Caribousmom‘s blog. I picked up a copy during some online shopping in 2012. And it has sat on my shelf ever since then. What better way to finally get this book read than to add it to my TBR Pile Reading Challenge list? Because for whatever reason, I had let this book sit for far too long considering how much I was interested in this book when I first saw it. The book is well written overall. I liked Nate Heller’s character. I had no idea that there were so many Heller books out there (17 in case you’re curious). But at the same time, I don’t think it’s likely that I will go back and read the entire back list. However, I have discovered that this book was the first in a planned three-book “trilogy” that involved the Kennedy’s. 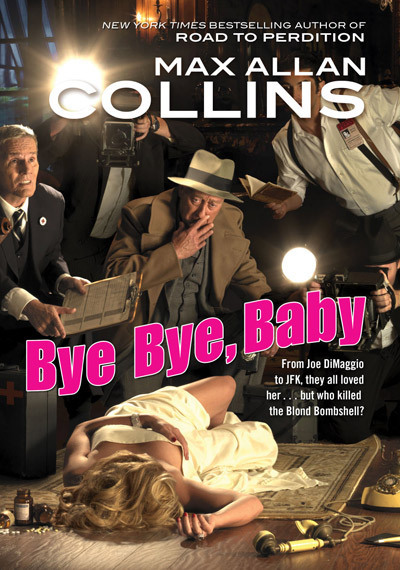 I think it will be interesting to see where Mr. Collins takes the next two books, so I definitely have them on my radar for the future. Overall, like I said this isn’t a bad book. I liked it. But I honestly don’t think it will appeal to just any reader. I like things about the Kennedys and even Marilyn too so maybe this may be one to check out!